As coffee enthusiasts, going to Laos’s coffee capital, Paksong was definitely on our to do list while we explored the Bolaven Plateu by motorbike. During a little bit of research on Paksong I came across Koffie’s Coffee Tour. We’ve heard of a chap called ‘Koffie’ who lives in Paksong – A Dutch expat, coffee lover and connoisseur who runs a coffee shop in town. Koffie was advertising that he runs a tour of a coffee plantation and a workshop where you learn how to roast coffee beans. It all sounded very exciting, so I signed us up for both! 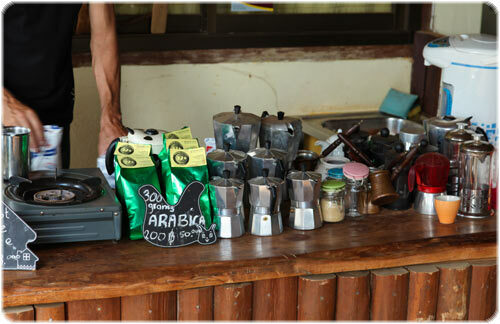 Koffie runs his coffee tour at the Tat Fan Resort, which is about 38 km from Pakse. He has a table in the restaurant where he makes amazing freshly ground coffee for customers. The tour started with a cup of coffee of course! Koffie made us a fresh cup of his home roasted, freshly ground coffee before we were on our way. 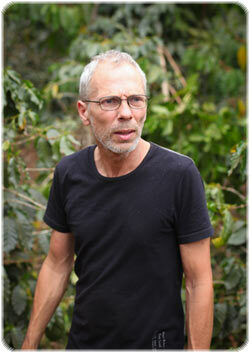 Koffie began by explaining what we were going to see and what to look for in the coffee plantation. 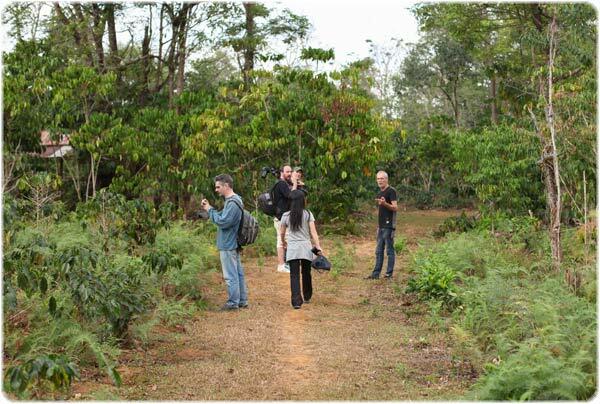 In this particular coffee plantation were Arabica trees and Robusta trees. Both very distinct appearances, but Arabica trees look like a Christmas tree in the way that they are small at the top and gradually get wider as the branches go lower. Robusta trees have a lot of branches stemming from the original branch and the bark has an interesting white colour. 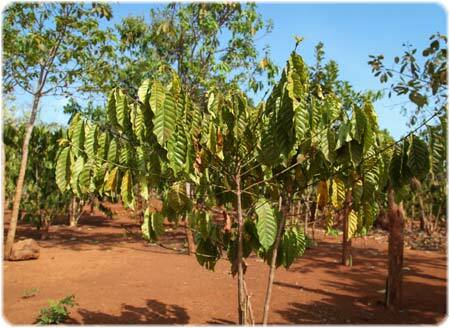 The leaves also give away which type of coffee tree it is. Both Arabica and Robusta leaves feel like plastic to touch, but the Robusta leaves have more of a velour finish, making it an easy way to distinguish the two types. 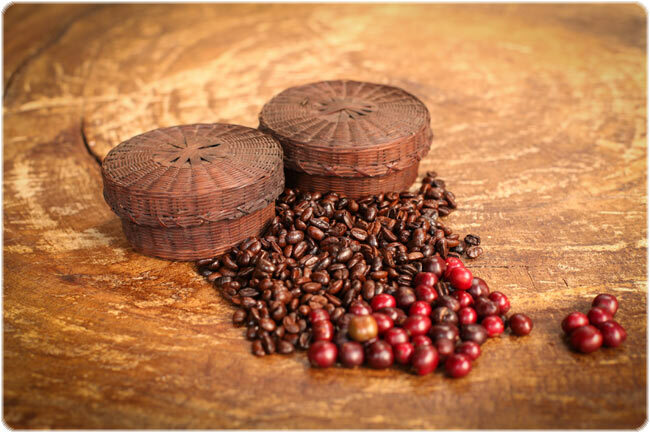 Coffee beans grow inside red and green berries in clusters on the branches. You can actually eat these berries, which have a sweet taste, but be careful of the rock hard coffee seed inside! Coffee grows better and ends up tasting better when it’s grown in the shade. 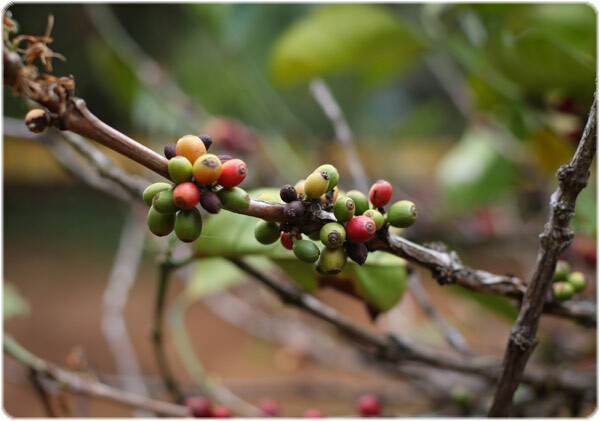 For this reason coffee trees are planted close to each other and their tall, long branches overlap one another creating shade over the berries. 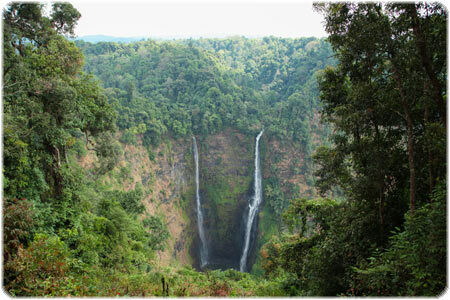 The Bolaven Plateau is situated on an extinct and ancient volcano, which spat out volcanic rocks around the entire region millions of years ago. But this also resulted in an incredibly fertile lava soil, which is great for coffee trees. Paksong sits at altitude at 1,300m, and has its own micro climate, meaning it’s much cooler than other places in Laos. Throughout the year the daytime temperature is between 20-30 degrees and at night it’s cool enough to sleep without a fan on (!). 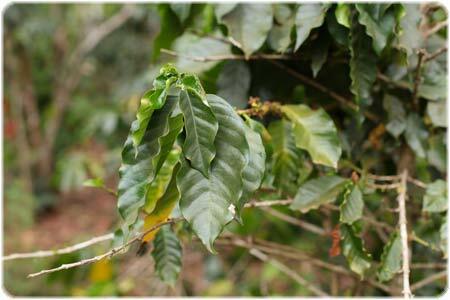 It never goes as low as freezing, so overall a perfect climate for coffee growing. Koffie gave us a few tips on coffee drinking and how to choose coffee. If you want to try the best and feel good about what you’re drinking, ‘only buy single estate coffee’ he said. This means that the beans may have come from one farm, but definitely from the same country. Pro coffee drinkers choose single estate coffee to get a specific taste and to ultimately know what they’re drinking! Koffie compared single estate coffee to single estate wine and single malt whiskey, as opposed to wine or whiskey blends. 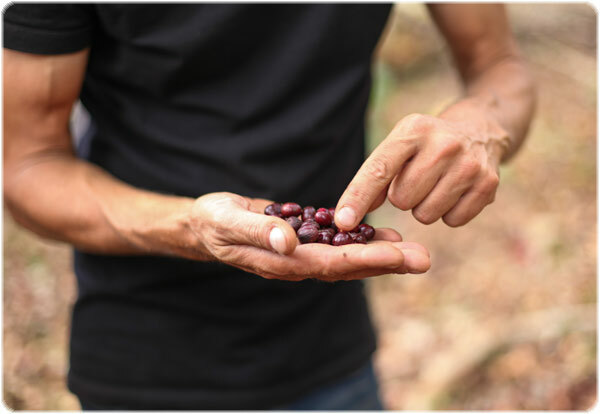 On our coffee tour we learnt that Nescafe (and other coffee giants) buy up questionable unprocessed coffee beans with an unknown grade of quality. This means they are purchased without going through the usual meticulous methods needed to prepare good coffee. The beans could be of any quality and strength. The coffee giants only want the essence of coffee and don’t want to pay a much for it! We thoroughly enjoyed Koffie’s Coffee Tour and definitely think it was worth the 50,000 Kip (£4) we paid. The whole tour was about 1-2 hours and was very informative and loads of fun. We started and finished with an excellent coffee and left much more knowledgeable about coffee plantations and the whole coffee process. The experience made me eager to learn more about coffee and to choose my cup of caffeine more mindfully! If it fitted with our plans we would have joined the more comprehensive coffee workshop on offer. But taking around 6 hours, we didn’t have another day spare. There’s always next time! On the workshop you learn how to roast coffee beans and at the end you take home a 250g bag of coffee, sounds like fun and it’s good value at 150,000 Kip (£12.70). Tat Fan Resort is situated opposite Tat Fan Waterfall. It’s one of the most spectacular waterfalls we’ve seen in Laos, with twin torrents pouring out from dense forest and plunging 120m into the pool below. Tat Fan Resort has the best viewing point of the falls, which makes the location a perfect place to start Koffie’s Coffee Tour and to enjoy a cup of coffee or two. Entrance fee to the waterfall is 5000 Kip (42p) per person and 3000 Kip (25p) to park a motorbike. Koffie also has a coffee shop in Paksong with a large sign outside saying ‘COFFEE’. He may not be there as he’s busy with the tours and workshops, but someone will still be able to whip you up an amazing cup of his roasted coffee! 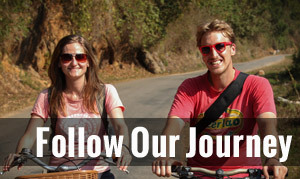 Tat Lo, Laos: Waterfalls, Village Trekking and Hammocks! 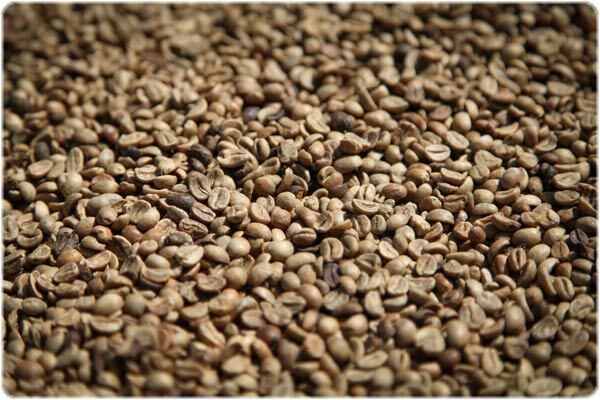 3 Responses to Coffee Tour with ‘Koffie’ on the Bolaven Plateau! This is really a nice post. I hope you people have enjoyed this tour a lot. 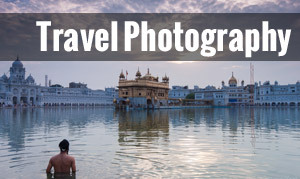 The tips mentioned here are informative and useful. I too enjoyed reading your post and glad to make comment on it. Many thanks for sharing your wonderful experience with some useful information. 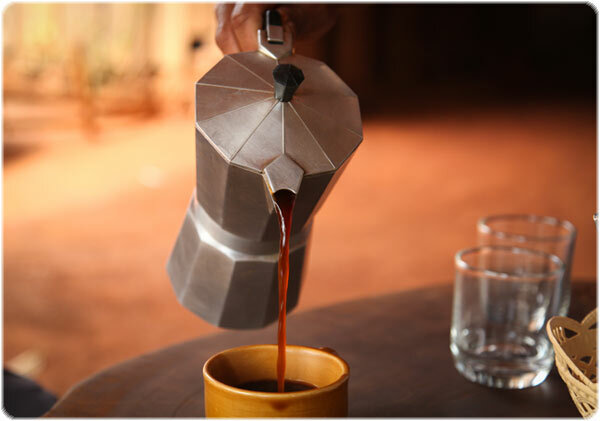 We’re glad you enjoyed reading about our coffee tour and found it informative and useful. We had a great time on the tour! You really managed to capture your journey in this article. 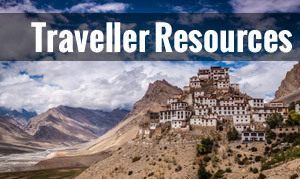 Very informative and most of all, very impressive!